Day 5, the end of our Hokkaido Photographers Invitation Program. We packed up and after our breakfast, we boarded our limousine mini-bus for our journey to New Chitose Airport for our afternoon domestic flight to Narita Domestic Airport before transiting for our flight in the evening from Narita International Airport back home to hot and sunny Singapore. Our hotel hosts, Mdm. Chida Tamami was there to say goodbye to us and Mr. Ichinetsu Sensei was also there too! We were touched by their warmth hospitality and friendship that they showered on us yesterday and on the morning of Day 5 as we were preparing to leave Hokkaido for home. I took this opportunity to take a photograph with Mr. Ichinetsu Sensei, a master landscape photographer that I was very honoured to know and meet him in person while we were on the Hokkaido Photographers Invitation Program, I have so much more to learn from the Grand Master Photographer! Soon we waved our goodbyes to our wonderful hosts and friends, starting our journey down to New Chitose Airport for our domestic flight. The journey down from Sounkyo Kankou Hotel took a while, approximately around 2-3 hours. This was a time for us, reflecting back on our great photography travel adventure in Hokkaido for the past 4 days. There was also a dedicated photography collection for the delicious Hokkaido cuisines! Many many many beautiful and wonderful memories captured during the entire Hokkaido Photographers Invitation Program 2014! 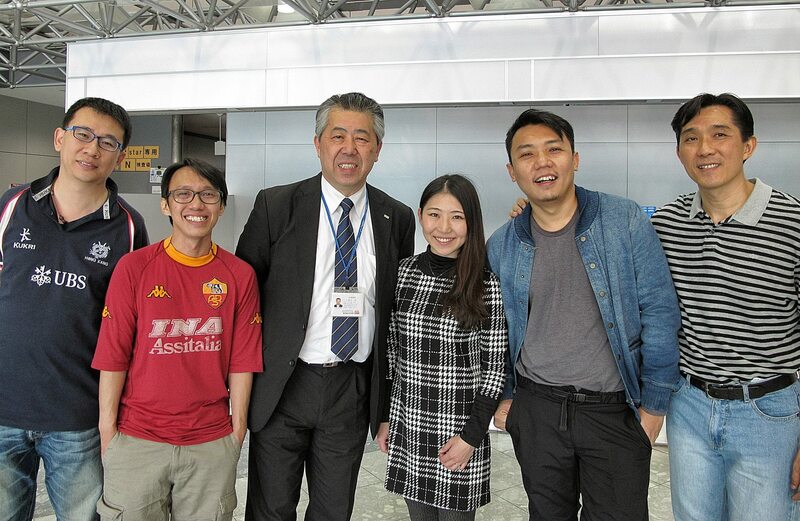 Once we arrived at New Chitose Airport, we said goodbye to Mr. Tsuyoshi Kato, our Hokkaido PhotoGuide and Travel Planner. Mr. Kato さん took great care of us during our Hokkaido Photographers Invitation Program. If you are planning to visit Hokkaido for a dedicated photography travel trip, I highly recommend Mr. Tsuyoshi Kato of Hokkaido PhotoGuide! Once we got our luggage checked in and boarding passes collected, we said goodbye to Mr. Kazuma Higasa, General Manager of Nippon Travel Agency Hokkaido Co. Ltd. We were all very grateful and thankful to Mr. Higasa さん for the entire trip, from the planning to the entire program that made it so interesting, exciting and fun for everyone of us! We were all very honoured by Mr. Higasa さん, the General Manager personally taking very good care of us during the entire program. While we were on our way back home to Singapore, all of us were already starting to miss Hokkaido. This special band of photographer friends, Dennis, Jensen, Manami, Weng Seng and our very kawaii tour coordinator Moe さん, we created great chemistry, friendship, bonding and fun times during Hokkaido Photographers Invitation Program 2014, creating an impact across the photography, travel and social media arenas beyond our imagination with our photographs and travel stories sharing! Hokkaido, I will be back again! I promise!